Vine, the Twitter-owned video-sharing app, launched for Android devices on Monday. 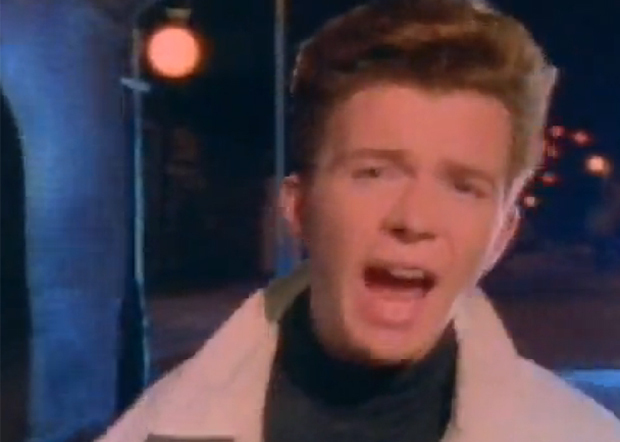 And it was only a matter of hours before the mobile app was hacked, or shall we say, "Rickrolled." Vine allows users to record and share looping videos at a maximum length of six seconds. According to Twitter, the app now has 13 million users. Sixteen-year-old Web developer Will Smidlein bypassed Vine's six-second limit and uploaded all three-and-a-half minutes of Rick Astley's hit song from the 1980s, "Never Gonna Give You Up." The song has seen a resurgence in recent years as an Internet meme called "Rickrolling" -- a bait and switch prank in which a person is tricked into watching Astley's video from a masked hyperlink. According to The Verge, Smidlein's Rickrolling hack ended up crashing the service. "I think I broke Vine," Smidlein tweeted Monday night. Smidlein, who has prior experience developing for Android, translated the app's code into a readable format and fiddled with the part of the program that lets users post videos. With methods he declined to describe until the app is patched, he posted the hit song to Vine servers. Suddenly, the six-second video app was hosting the anthem on infinite loop. In an interview with tech blog The Verge, Smidlein explained that he never meant for his prank to go public. "Honestly, it was just for my friends and the people who follow me on Twitter and Vine," he said. Smidlein said he was quickly messaged by a Twitter engineer who asked him to take the video down. The post was removed, but not before it went viral, being instantly retweeted across the Internet. "Sorry, Twitter/Vine engineers," Smidlein tweeted. "I tried to keep it quiet, but the Internet never forgets." Vine removed the post, but it is uncertain how long Smidlein's hack disabled the video-sharing service. "I truly feel awful for the engineers whose day I ruined with my stupid messing around,"Smidlein tweeted. For now, Smidlein is putting his app-hacking efforts on hold, as he is spending his summer interning at Pocket, an application that allows users to save online content to access at a later date. Twitter did not immediately comment on the matter, but neither Twitter nor Vine is pressing charges, and when asked if he would strike again, Smidlein told WKYC in Cleveland, "we'll see." "
Vine was launched in June 2012 and was acquired by Twitter that October. On April 9, Vine became the No. 1 most downloaded free app on Apple's App Store. Rickrolling began in 2007 as an inside joke on the website 4chan.org and quickly became a youtube phenomenon. Perhaps next time Smidlein will hack vine by bringing back Gangnam style -- but only time will tell.